National Youth Day (Vivekananda Jayanti on 11th and 12th January, 2016) : The birthday of Swami Vivekananda was celebrated in the Vidyalaya with a cultural programme hoisted for two days in the presence of dignitaries from various fields who graced the occasion. On 11th January, 2016, Dr. Nagen Saikia, Ex-President, Axom Sahitya Sabha attended the profgramme as Chief Guest and inspired the students highlighting that how relevant is Swamiji’s preaching in the present society to end all turmoil and conflict. On the second day, Dr. Dilip Bhuyan graced the occasion as Chief Guest and Man. Pravin Dabolkar ji, Secretary, North East, Vivekananda Kendra Kanyakumari as Guest of Honour. 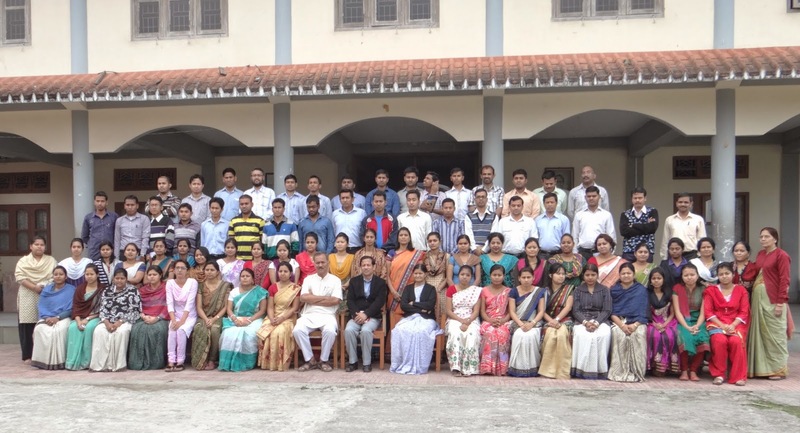 Vivekananda Jayanti was celebrated in a befitting manner in the Vidyalaya with a two days long programme. A plethora of events were organized for the students by the Vidyalaya keeping in mind the significance of the day which is celebrated as “Youth Day” to encourage the talent of the youths of our country. The plethora of events included various cultural programmes representing the various culture of our motherland, action songs, recitation of Swamiji’s quotations, patriotic song presentation etc.